If you and the lads are looking for a competitive outlet for all the testosterone on your stag do in Barcelona there’s really no better, manlier activity than quad biking! 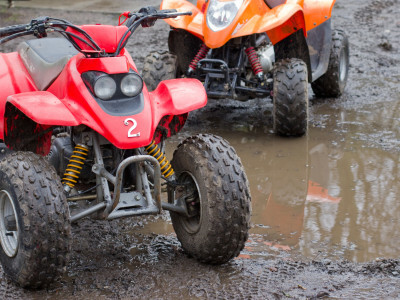 You’ll all enjoy one hour of pure adrenaline, squeezing tight to the handlebars of your beasty quad-bike as you fly through some of Spain’s dirtiest and trickiest tracks! The best part is all of the bikes are made for one rider, so you can all compete with nobody slowing you down! The fresh air, adrenaline and time in Spain’s great outdoors will invigorate you and the lads for a crazy night afterwards!